NDelay is a tool designed by NVerzion to optimize on-air programming delays, including censorship. Utilizing the single-channel SD or HD time-delay system, broadcasters can automatically create programming delays, ranging from a few seconds to one week, all while simultaneously recording content. As part of an end-to-end file-based workflow, NDelay maximizes operational efficiencies and cost savings for broadcasters while ensuring a superior quality of experience for viewers. NDelay is the ideal solution for broadcast, education, government, and corporate markets. 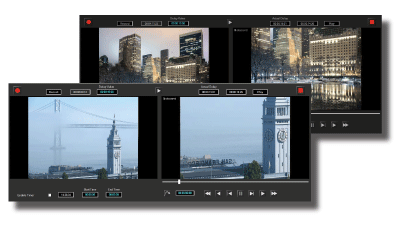 NDelay - For long-duration video feeds and 24-hour daily feeds (recorded to local storage). Featuring delay as short as 30 seconds or as long as 7 days, which then gets deleted automatically. NDelay RAM - Ideal for very quick turnarounds such as sports and studio production (recorded to RAM). Featuring delay between 1-15 seconds or up to 2 hours max, which then gets deleted immediately after it has exceeded its maximum usage.